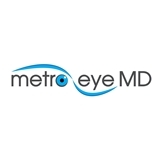 Metro Eye MD (Astoria) - Book Appointment Online! Metro Eye MD is an ophthalmology practice that specializes in Cataract, Cornea, LASIK and general ophthalmology services. We bring to our patients the latest and most advanced treatments available in the industry, including but not limited to Laser Cataract surgery, Premium Lens Implants, Custom Bladeless iLASIK, Sutureless Corneal Transplants (DSAEK), Corneal Collagen Crosslinking, and Advanced Dry Eye treatments (IPL and Lipiflow). With convenient locations in Manhattan, Astoria and Bayside New York we strive to provide supreme eye care to our patients at their nearest location. It was an appointment for my 12 year old daughter, she felt very comfortable and I was pleased with the care of the doctors and staff. I even booked an appointment for myself.